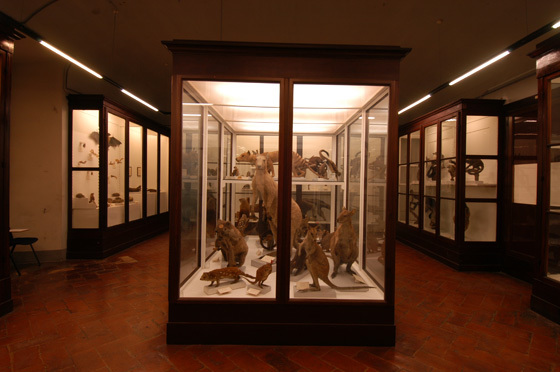 The Zoologia ‘La Specola’ museum is part of the University of Florence. (The buzz of flourescent lights, the eerie stillness, that certain academic smell, yep, we're in a University building.) It costs 4 Euros per person to get in. We only had an hour and we made in through rooms 1-15 only. There are 33 rooms total so I guess we get to go back. The image above is from room 8, carnivores and large herbivores. There was next to no signage in English so bring a dictionary or just be content to look. 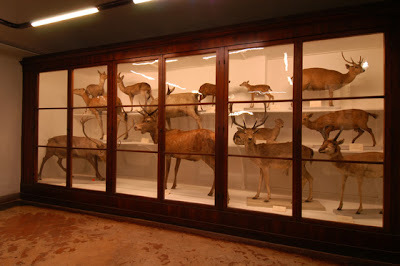 Luckily most of the common animals will be familiar. We both liked this museum because there is a lot to see. 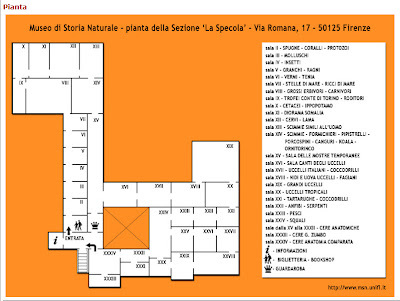 Here is an interactive floor plan were you can click to see what is in each room. 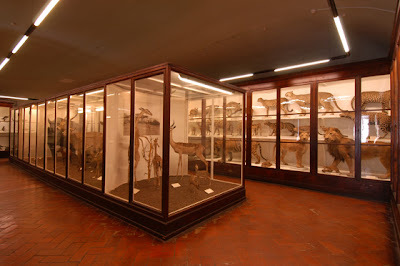 There is a part of the museum dedicated to anatomical waxes (rooms 25 – 32) that is supposed to be fantastic (if you are into that sort of thing). We never saw it, so again, a trip back. For some reason the lines have been incredible at all the major museums for the past few days. It seems like it is largely Italians vacationing. Today the line to get into the Pitti Palace (main entrance) was about 25 minutes long. We walked up the street a little and went in an entrance closer to Porta Romana and just walked right in. The slow point at the main entrance is the security check. Besides the main entrance at the Pitti Palace, there are three other entrances that we know of. One on the same street the main entrance is on but closer to the Porta Romana. One just outside the Porta Romana. One near the Forte Belvedere. We walked the gardens for about 1 hour and then visited the Galleria del Costume inside the Pitti Palace. The museum is in a nice set of rooms in the southern part of the palace. You can get to the museum entry in two ways. From the main courtyard climb the huge stairs and follow the signs. Or from outside (in the garden) head to the southernmost part of the palace where there is a set of doors (not particularly well-marked). A collection of buttons that are a temporary exhibit (11 dic 2007 – 27 apr 2008). It is called “Appesi a un filo. 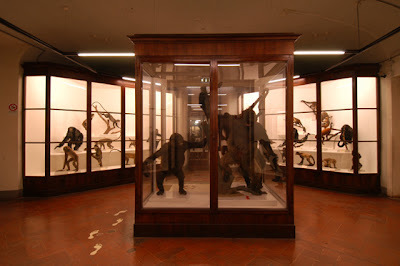 Buttoni all Galleria del Costume di Palazzo Pitti.” “Appesi a un filo. Buttoni…” translates to: Hanging by a thread, buttons… An Italian fellow, Alberto Riva (? 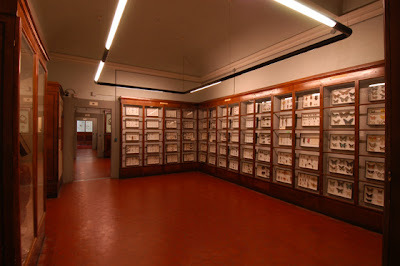 – 1924) collected 2,900 buttons from the 18th to the 20th century. Most of the buttons on display were from the 19th century and were for men’s clothes as that’s what most buttons were used for at that time. 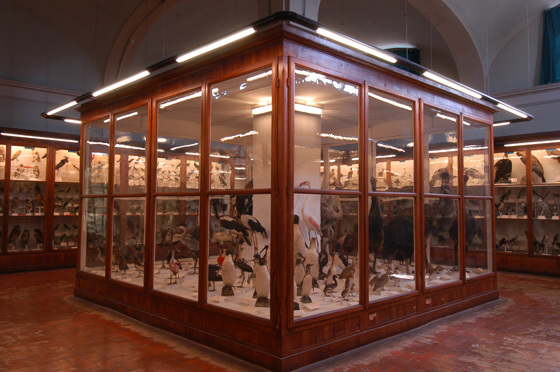 The buttons run the gamut from simple to complex, stamped metal, precious stones, painted, carved, and even little dioramas under glass. I kept wondering about the person who collected these buttons? What was he like? The clothes that Eleonora di Toledo (1522-1562), her son Don Garzia (1547-1562), and her husband Cosimo I de’ Medici (1519-1574) were buried in. Both Eleonora and her son Don Garzia died of malaria within days of each other. 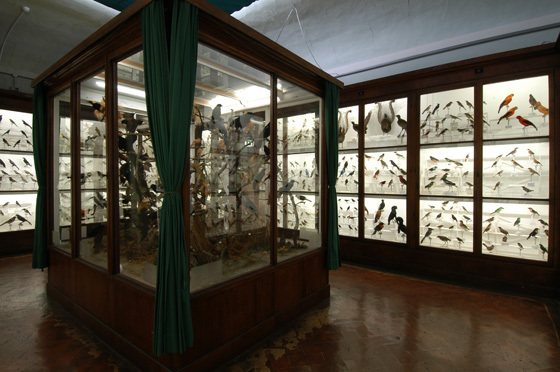 Their coffins along with other Medicis were opened in 1857 and it was discovered that most had been broken into and valuables stolen. 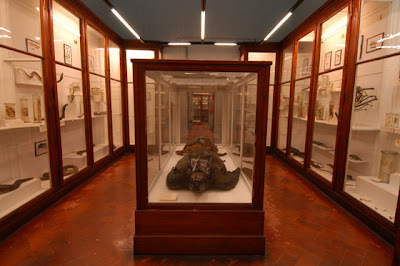 They were again opened in 1947 and again in 2005 for examination. 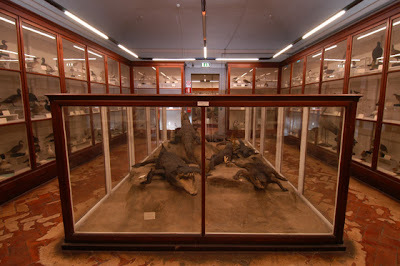 In one of the last times the coffins were opened (not sure when), they removed and reconstructed the clothes they were buried in (what was left of them). It was a bit surreal. The photo above was taken a few days ago. The city is projecting the greeting “Auguri di Buon Natale e Felice 2008” on the Ponte Vecchio. You can see the Vasari Corridor making a 90 degree turn as it comes from the Uffizi and heads over the Ponte Vecchio. 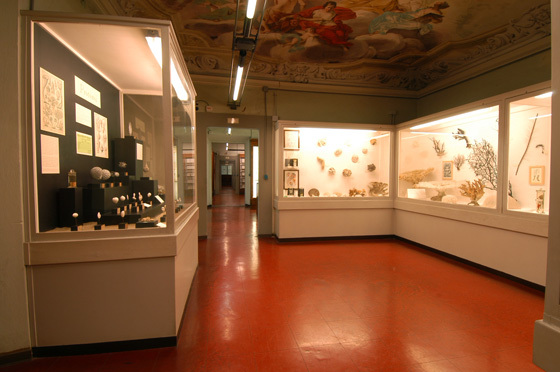 The corridor is the very top part with the regularly spaced windows. By the way, there are over 1500 self portraits in the Uffizi collection. Over 400 of them are on display in the corridor. The group Friends of Florence is looking for a sponsor to pay for photographing them all, producing a book, and sponsoring a US tour. Any takers? Happy New Year to all of our readers (all 3 of you) and everyone who made our trip possible. Some folks at the Museo Horne told us about this little museum in the Oltrarno, near Piazza Poggi. 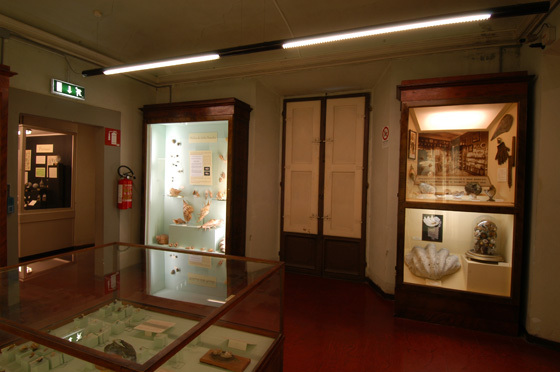 The Casa Siviero is located in a small palazzo at Lungarno Seristori, 1/3, along the river. 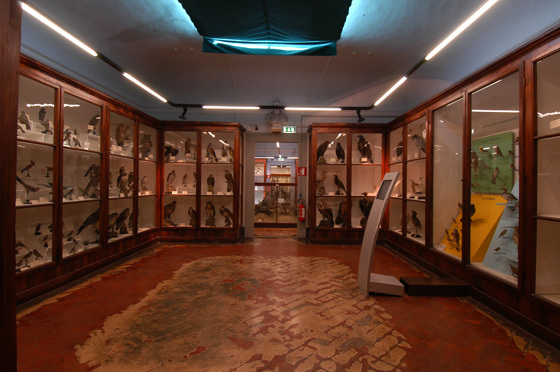 There is no entry fee and you’ll probably get a personal guide through the ground floor rooms. 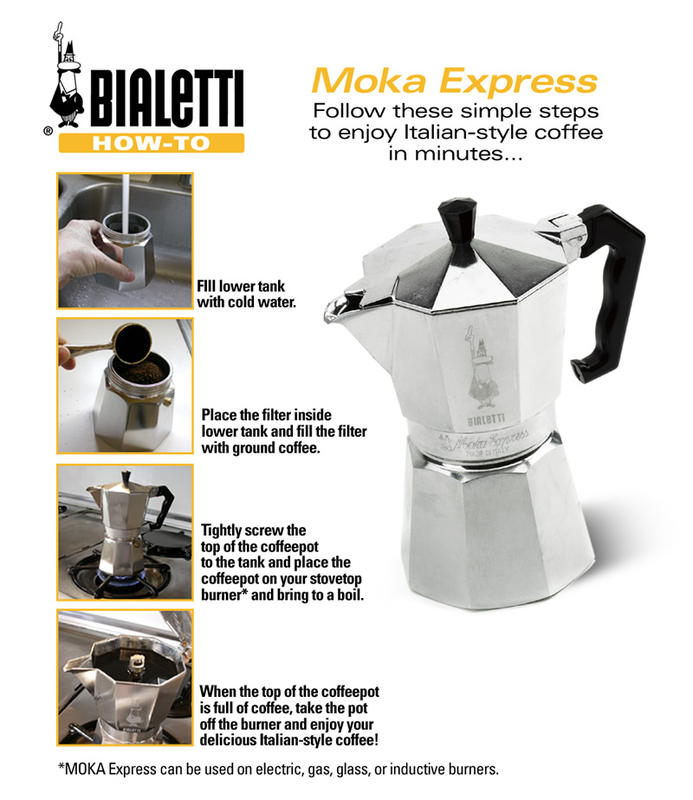 It’s best if you can speak and understand Italian. (Again, it was like an hour long conversation class for us.) The other floors of the house are not open to the public but may be in the future (as in years from now). It’s worth a peek if only to see the inside of one of these palazzos. Be sure to ask the guides lots of questions, they love to talk. To learn more about this museum and it’s relation to other interesting spots nearby go to its Italian wikipedia page and use the city zone navigator control on the right. 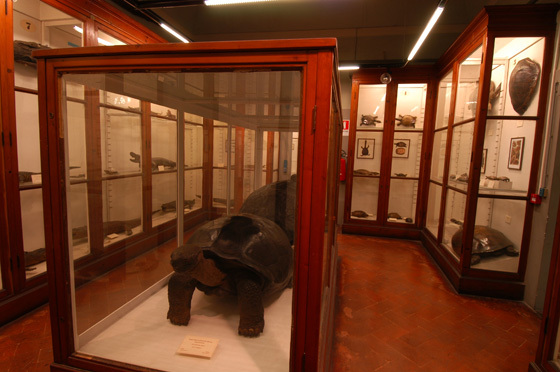 The Museo della Fondazione Horne, or Horne Museum, at Via dei Benci 6, is an museum created from the collection of Herbert Percy Horne (1864-1916). 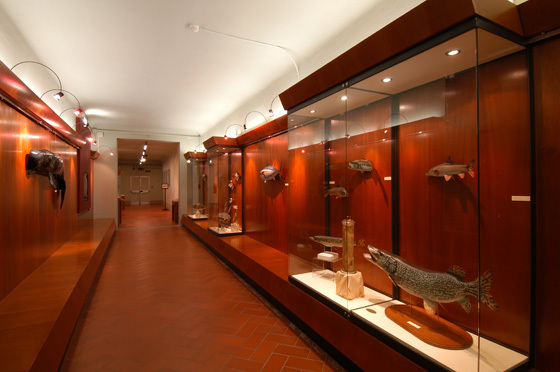 A British man of many interests related to art, he eventually ended up in Italy with a collection of arts and handicrafts from the 14 and 15th century that form the core of this museum. 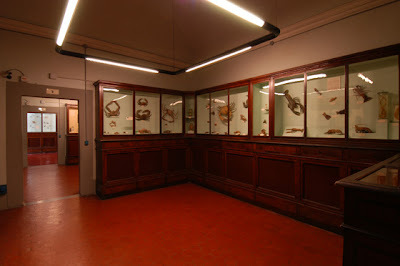 The museum costs 5 Euros to enter and is on two floors (the basement was not accessible and the top floor is inhabited by the custodian of the museum - the toscano word for this job is casiere). 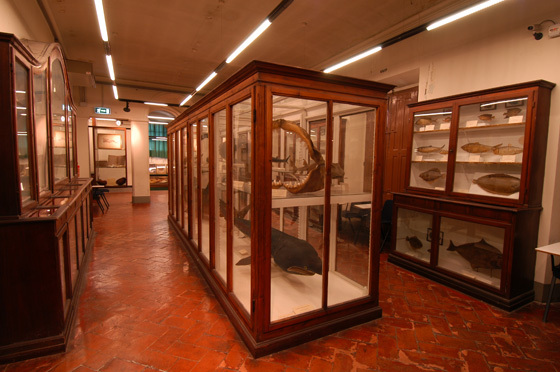 You can borrow a guide book from the ticket desk in the language of your choice that will help decipher what you are looking at because there is no signage in the museum. 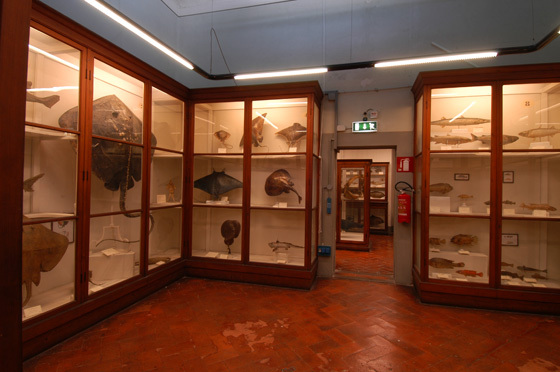 While it was fun to be in the house and the guides/docents were helpful (as usual we got our 5 Euro’s worth in plying them with questions to practice our Italian), the museum was a bit of a let-down. We felt it needed something to pull it all together. 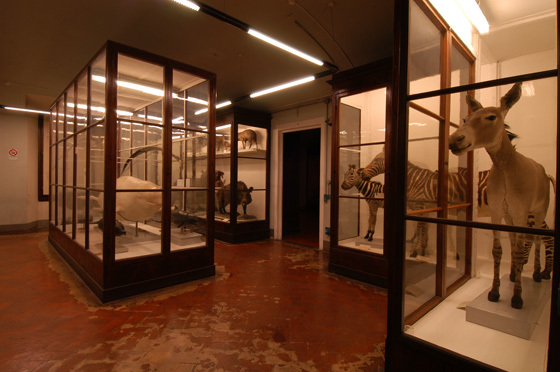 The Dante house has way less yet is more compelling because it tells the story of Florence. The Horne Museum’s collection while interesting will only appeal to those looking for specific works of art. In a city with so much art, it’s hard for lay people of the arts, like us, to appreciate what constitutes this collection. I felt the museum could have benefited by playing up the structure of the house more. It is a Renaissance styled house and there could be a lot more done to highlight this aspect. We went to our property manager’s place to deliver the rent, look at some more apartment options and enjoy a glass of wine. It's on the way up to Fiesole so we took the #7 bus. He lives in a small part of a large palazzo (not his) with a wonderful situation in the hills. He showed us around the grounds, nice. But somehow conversation always turns to food. 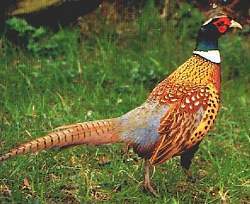 We walked away with a pheasant (fagiano) that he had killed the day before. Although it's been gutted, we'll still have to pluck the feathers out. But not until it's spent a couple of more days in the fridge for the meat to ripen a bit. Our gift was fun carrying back home on the bus in a little old plastic bag with its tail feathers sticking out. Don’t look a gift pheasant in the mouth. “Qui Arrivò L’Arno, Il 4 Novembre 1966” – you will find plaques scattered around the city with this written on them to show the level the flood water reached in 1966. We are always amazed because we may be far away (it seems) from the river, yet the plaque indicates a mark over our heads. Here is a brief summary of what happened. Other resources: wikipedia page with more background, photos, and more photos. By the way, “arrivò” is the verb tense passato remoto of the verb “arrivare” – to arrive; this tense is used to describe actions that happened long ago. I borrowed the picture from a former classmate's blog. Finally snapped a shot ourselves. This plaque uses "la piena" - the flood. This one was on the side of the Palazzo Serristori, on the river's south bank. The plaque was about 12 feet above our head standing on the sidewalk. We left early Christmas morning for our friend’s house in Foligno (Umbria) for a one night stay. As usual, the hospitality was warm and gracious. Actually, there are two families that we bounce between – spoiled aren’t we? It’s fun because the types of things we eat are always interesting and everyone is patient with us in terms of speaking. (This is the true Italian hospitality that can be hard to find sometimes in the bigger cities.) Each lunch or dinner was at least 3 or 4 courses and always wonderful. On Christmas night we visited a live creche (presepe vivente). On the next day, called St. Stefano’s day, we visited Bevagna, Cannara, and Collepino. Thanks to our hosts! The town of Marcellano is a small town in central Umbria that is known for its spectacular Christmas pageant. In the pageant, the story of Mary and Joseph searching for an inn, finding a stable (presepe – a creche) , and so on are interacted with live people (hence the word “vivente”). Basically, the town is completely converted to a stage. And a production of this type of course requires a web site, right? Here it is the Presepe Vivente di Marcellano site. (Didn’t even know this site existed before we went; it would have been useful.) We basically wandered around and discovered different things. There were snacks and products of the region to buy. If you are in the region during Christmas, it is definitely something to visit. 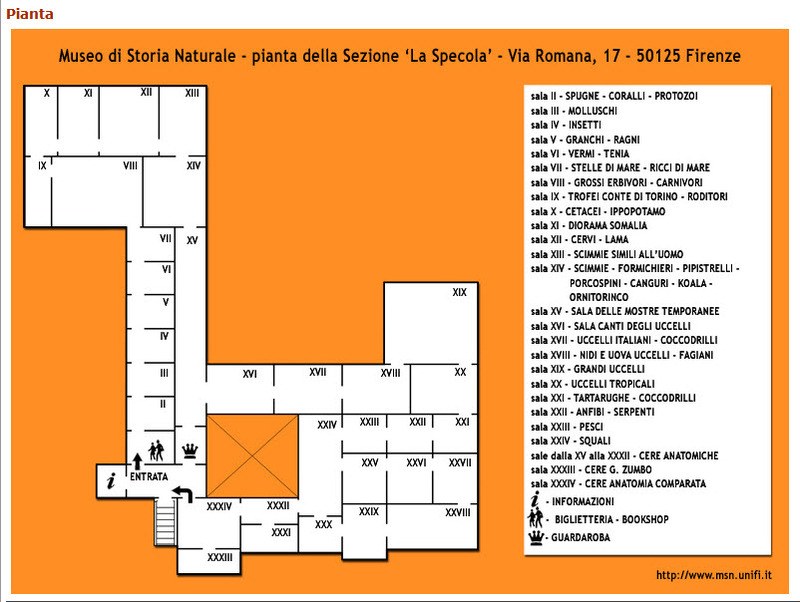 The Trattoria Ruggero is just outside of the Porta Romana, heading south at Via Senese, 89/r. Saturday afternoon we walked all over the Bellsguardo hills and dropped out of them right onto Ruggero. This was our second time there and it’s becoming one of our favorite places to go. We had a late lunch of pasta and white truffle, tortellini in brodo, tongue, pork, white beans, and dolce. We were the last diners out and spent a few minutes talking to Anna the former owner. Her kids now run the place. The trattoria is named for her former (I think he passed on) husband. She was very nice and shared her recipe for salsa verde for the lingua (tongue). Hint, there is an ingredient in there you wouldn’t guess. The gonfalon (banner – gonfalone in Italian) that represents Florence has the characteristic red flower-like-thing (coat of arms or stemma) on a white background. What is it exactly? When I asked someone what this was they mentioned a word in Italian that I didn’t recognize and promptly forgot. Today we went to visit the museum in Dante’s house in the heart of Florence and this started bugging me again. After a little research here’s what I can tell. The banner does in fact represent a flower, a type of iris. In Italian it is called the giaggiolo, or a type of iris called Iris florentina. However, in many spots the term giglio is used as a shortcut. However, the translation of this is lily which is different type of flower. Here is an example: on this page which talks about the game of “historical Florentine soccer” (you can count me out) there is background about the banner symbol and they mention giaggiolo but then say “or” giglio. To my eye, an iris seems like it more accurately represents the basic shape and using “giglio” is just a shortcut but is not accurate. Or could it be either flower? Anyone have other information? [addition 12/30/07] The book Americans in Florence indicates that this symbol is an iris (p. 127). 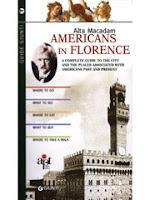 The book is put out by the Florence Tourist Office. [addition 04/18/08] The difference between the Florentine lily between the fleur-de-lis typically associated with the French monarchy is that with the Florentine lily stamens are depicted. As we were leaving Casa di Dante, we went through Piazza de Cimatori and stumbled on the sandwich cart pictured above. Just could not resist bollito – boiled beef. Okay, no tripe or lampredotto this time. Bollito is our favorite, with a little sale, pepe, and salsa verde. These carts seem so disorganized, but in reality the people working them (usually two) are really good. They are fast and remember all the nuances of everyone's order. You can get something to drink as well in the carts: water, soda or wine. You stand around and eat and then go about your business. A trick: when eating a panino stuffed with meat, lean your upper body forward so if anything drips it doesn’t drip down the front of your clothes. We learned the hard way. See here for a quick background on these carts. I went in thinking this would be all about the life of Dante as in this is a picture of Dante, this is the comb he combed his hair with, this was his hat, here’s his favorite dog stuffed, etc. 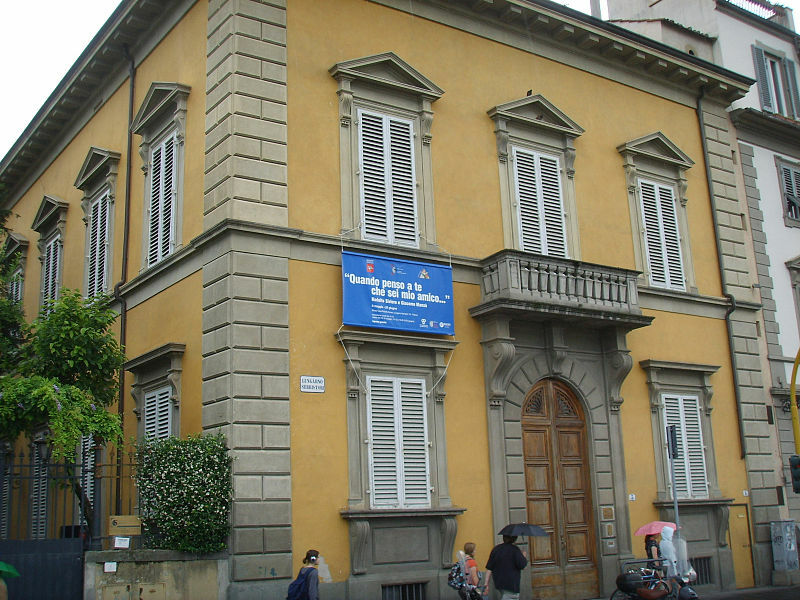 But it is something quite different; it’s really a museum about what Florence was like during Dante’s time and how he came to be there, and be exiled from Florence. If you take the time to read the good explanations (in Italian and English) you can learn about the fighting between the Guelphs and the Ghibellines, the pope and the empire, and what this has to do with anything. We certainly didn’t know that much about this before going in. We spent about an hour and a half there, but that is on the upper end of most visitors because we stopped and read everything. 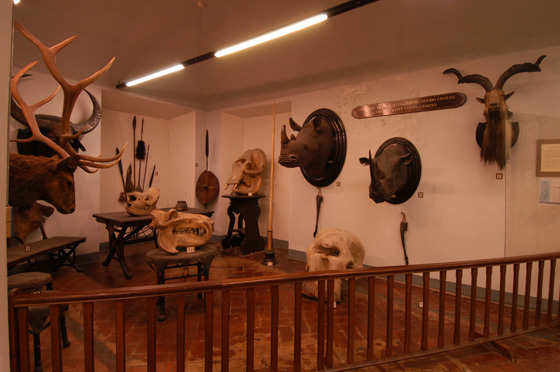 It’s a cerebral museum visit. For the folks looking for something flashy, this museum may not appeal that much. For some reason we never saw the Physalis peruviana (cape gooseberry among other common names) before coming to Europe (or perhaps just didn’t pay attention?). We saw it first in France in 2006 and now in Italy. Alchechengi is the Italian name for this fruit. The fruit is most often used for deserts or sweets. And yes, we’ve seen them dipped in chocolate as shown in this photo, but have not tried them yet. Mark loves them raw. 11/11/09 Update: Ran into this fruit again while spending a few days in Vancouver B.C. One common name for these is "Cape Gooseberry". As discussed in the entry on Wikipedia this common name comes from the fact that it was grow in the early 1800s by settlers in the Cape of Good Hope, South Africa and, I assume, has a strong resemblance to a gooseberry (a different botanical family). - Thread 1: Some friends gave us a Neri Per Caso CD with an a capella version of this song (which is really good). - Thread 2: I was studying the Jovanotti song “Bella” in the “Canta Che Ti Passa” book. - Thread 3: I learned that Jovanotti wrote the song “Non M’Annoio”. Here is the video (which I’ve watched about 100 times). - Thread 4: When I read the background of Jovanotti I learned that he was behind the single “Welcome” which was a song that came on the scene in the early 1990s and I never knew who was behind it but I really liked it (okay it was the early 90s).